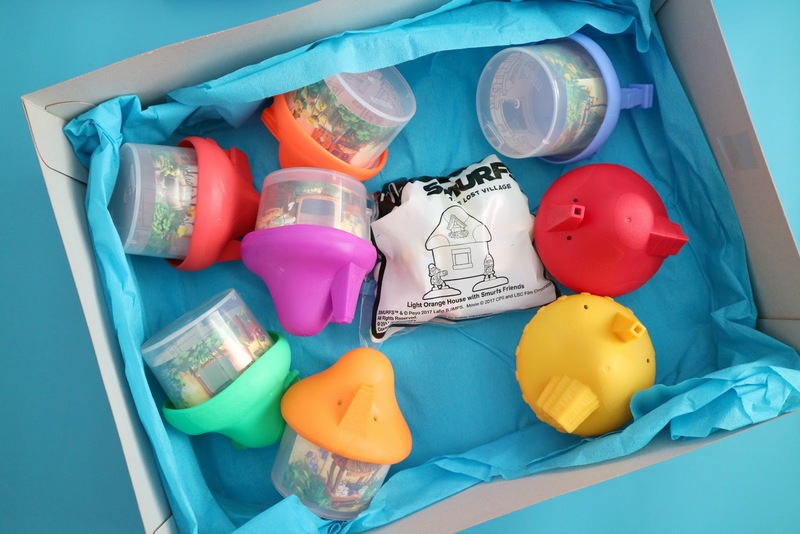 But today, we had a surprising package in the mail and it definitely made the boys über happy! 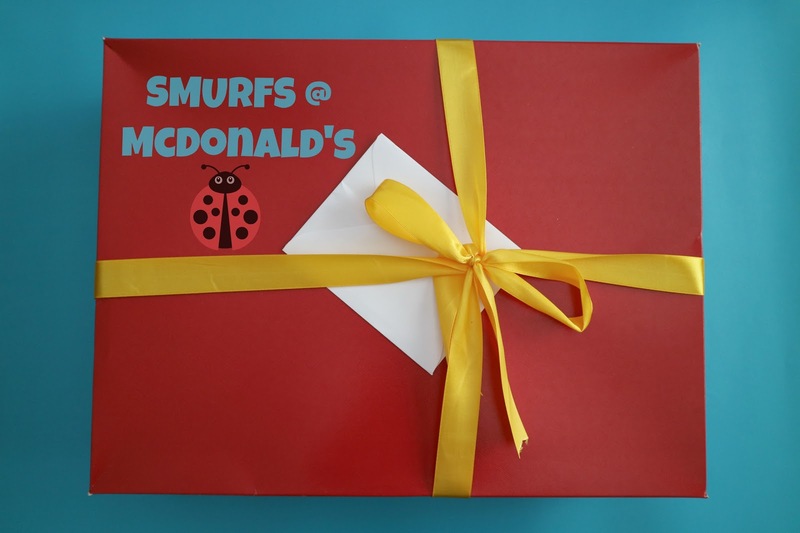 The new Smurf movie is all about adventure, so get ready for a fantastic one with McDonald's new Smurfs Happy Meal Toys! 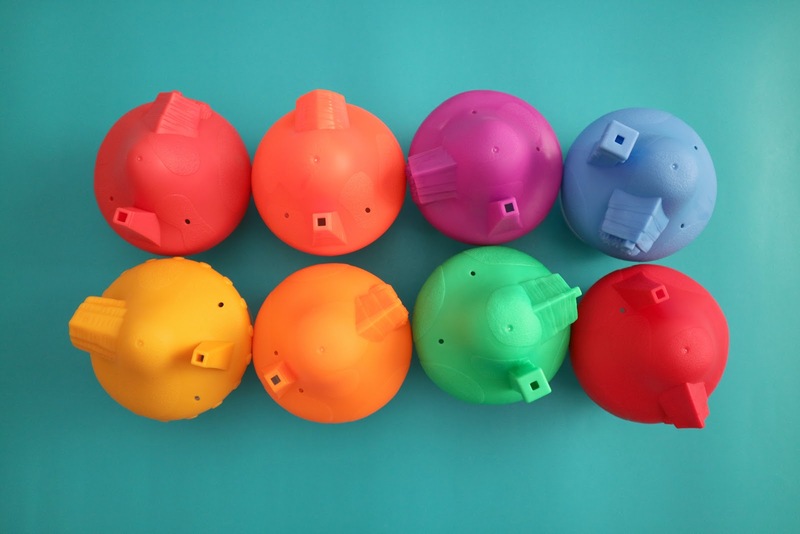 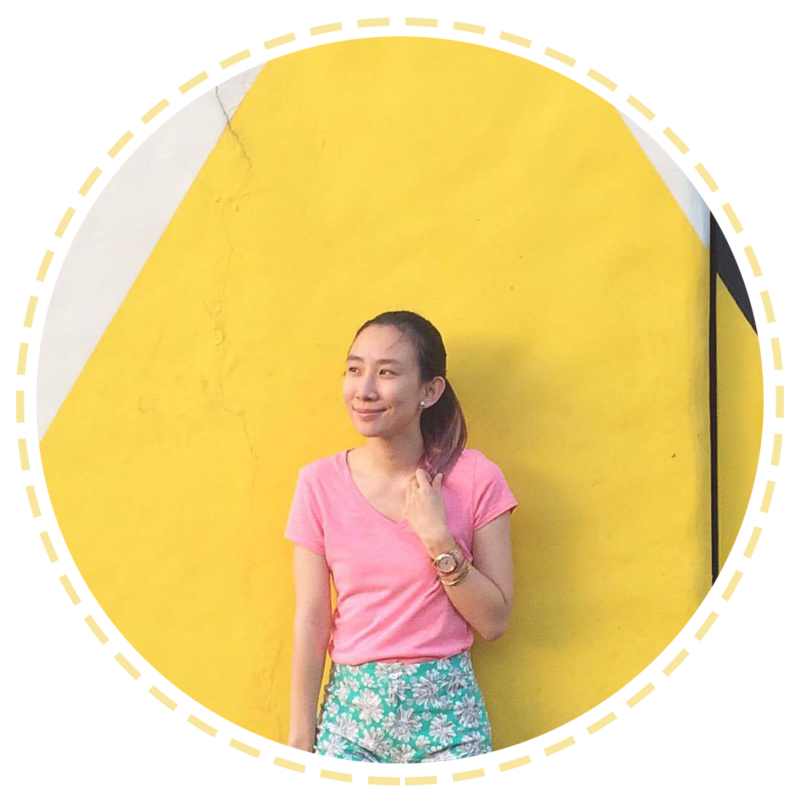 Collect all eight of them in vibrant colors for a fun playtime experience. 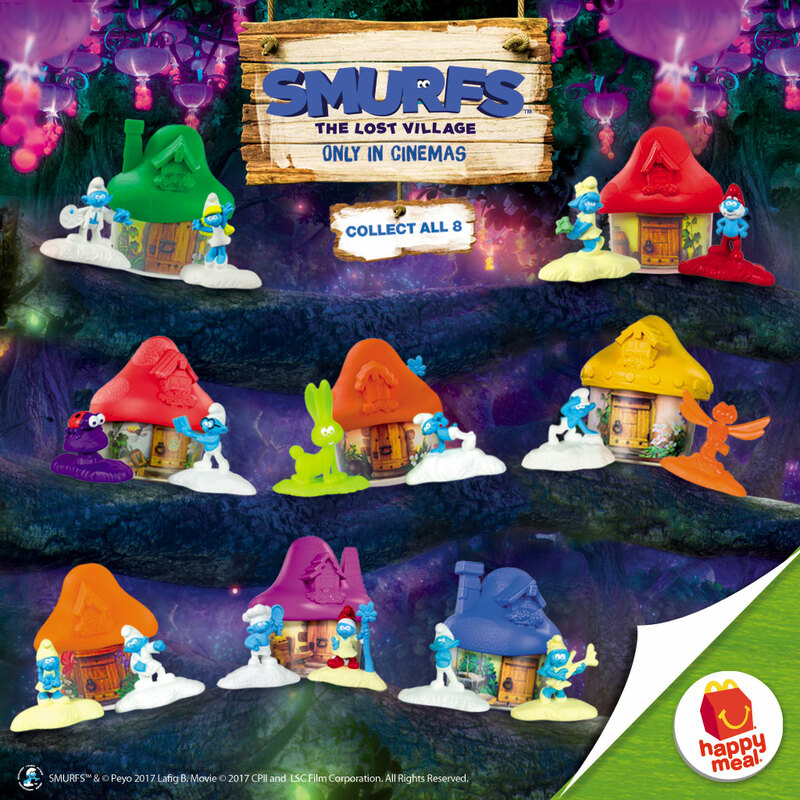 Each toy features a specially designed Smurf house and two unique Smurf friends, including favorite characters like Papa Smurf, Brainy Smurf and Smurfette! 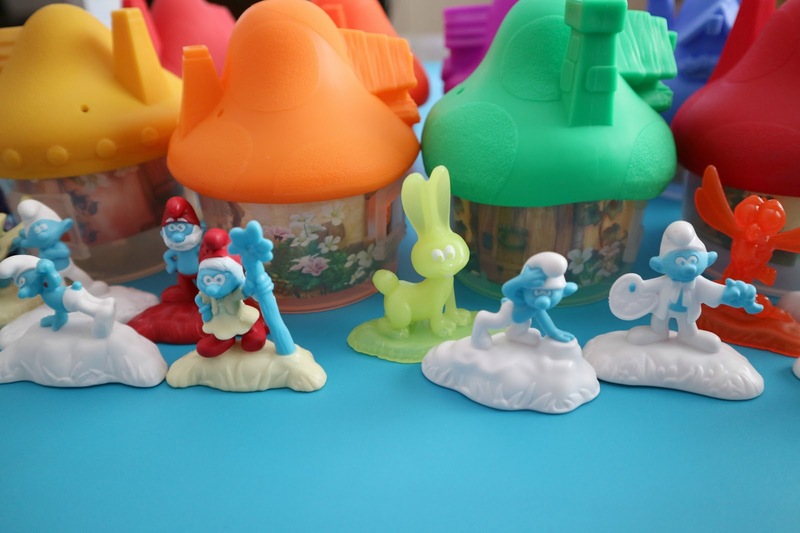 :) Complete your own Smurf village!